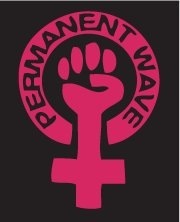 There seems to be a bunch of interest in forming a band composed of PWave members, so let's talk about making it happen! At least to me, I don't think musical knowledge or experience should be necessary; just a desire to express yourself. This could also be a venue for teaching each other what we do know. We don't need one guitar, one bass, one drum set, etc, to have a band. Personally, I play ukulele, sing, and write songs. Also have been known to rap, and played drums in the past. I have an embryonic solo project called Eau de Rosie [link!]. I've never been in a band though. I think the first step might be to have a separate meeting of interested people. Maybe we could meet briefly before the next PW meeting to talk more about the details. Is the next meeting April 20th? 3rd Friday of the month, right? I could try and prepare some questions that we'd want to answer about band-specifics. Well, I'm not sure if we'll end up having a band meeting (since no one has said yet that they will come), but I can definitely e-mail you with updates of whatever went on (you can PM me your address if you want); I can also post them to this thread. If you have any ideas/concerns that you would want to bring to the meeting, let me know! If we do have a band, we'd need some regular practice time, and it wouldn't have to be on Fridays.